It is entirely fitting that this alphabetical series of ten articles should close with a review of Thomas E. Wilson’s influence on today’s 4-H program. For 4-H is made great by two widespread circles of cooperation. One is the teamwork of federal, state and county governments providing public financial support for 4-H. This is the source of the title “Cooperative Extension Service,” parent agency to 4-H. 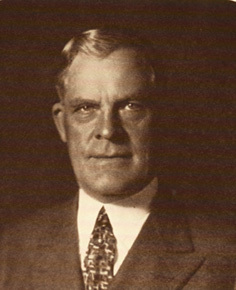 In the creation of the other important cooperative alliance in 4-H – that between business and government – this giant of the meat-packing industry, Wilson, played one of the leading roles. Congress created the Cooperative Extension Service in 1914, thus establishing boys’ and girls’ club work officially. Just four years after this starting date – in 1918 – Wilson made his entry into this field by playing meal host to a group of Iowa rural youths during the International Livestock Show in Chicago. This was one of the forerunners of today’s national awards programs and the generous hospitality offered Club Congress delegates each fall by the large corporations of America. 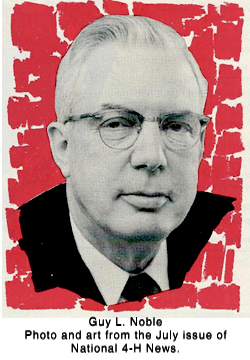 Wilson also held a key spot in the creation of the National Committee on Boys and Girls Club Work, now called the National 4-H Service Committee. This group has been a meeting point between business and government since 1921. That was the year in which Wilson and a handful of other early friends of club work helped Guy Noble establish the National Committee as a service agency to 4-H.
Having taken over a nearly-ruined meat-packing business in 1916 to create Wilson & Co., this pioneer in 4-H support was under great pressure both financially and for his time and energy. Yet, Guy Noble has recounted, Wilson was always willing to give time and effort to club work whether to discuss organizational problems or to open doors for Noble with important businessmen who might support 4-H.
As the second chairman of the National Committee, Wilson gave some 37 years of conscientious service to 4-H club work. He succeeded E. T. Meredith in this position in 1924 and held it until 1958, shortly before his death. Some of the specific benefits which Wilson brought to 4-H Club work besides the ones already mentioned could easily be overlooked, because their influence on the program has been subtle. They were important just the same. For instance, his insistence on getting the finest of speakers and entertainment at the Wilson-sponsored Club Congress banquet set a standard of quality for all future sponsors. His bringing to 4-H support the cream of the business world established an unimpeached relationship that still exists. His support of 4-H in its early days lent much-needed support at a crucial time. His high personal standards set a lifetime goal for the 4-H members he so much enjoyed meeting. This is the ninth in the series of 10 articles, reprinted from 1962 National 4-H News, which featured people identified by Extension Service professional staff members as “folks who helped make 4-H great”. 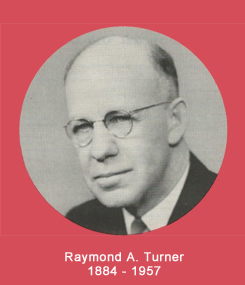 To witness the effect of Ray A. Turner’s work upon modern 4-H, one need only attend any meeting of an individual 4-H Club. For this pioneer of club work touched so many phases of the great youth movement that his influence is almost everywhere present in 4-H activity. For example, the singing of a 4-H song reflects his work (with Fannie Buchanan of Iowa) in editing the first National 4-H Song Book in 1929 and his work on later revisions. Each use of the 4-H name and emblem mirrors his long-time chairmanship of the federal committee authorized to grant permission to use these Congress-controlled symbols. In fact, his role as one of the leaders in establishing the 4-H Subcommittee of the Extension Committee on Organization and Policy (ECOP) has had at least a remote influence on every policy in 4-H Club work today. Visitors at the National 4-H Club Center in Washington, D. C. (the site of which he helped select) may stay in Turner Hall, named in his honor. Credit for today’s leadership recognition awards (Awards of the Clover) must go in great part to Turner’s leadership in their establishment. Revealing to a study of Ray Turner’s work is the list of responsibilities he was carrying at the time of his retirement from the Federal Extension Service. His major assignment, as senior agriculturist, was to supervise 4-H activities in the Central States region (Midwest). 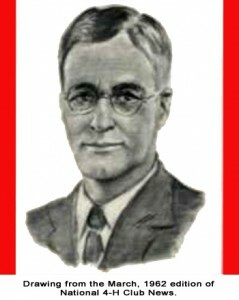 Some of Turner’s other tasks were: chairman of the Committee on National 4-H Contests and Awards, secretary of the 4-H History Committee, member of the Committee for the 4-H Division of the National Dairy Cattle Congress, member of the Board of Trustees of the National 4-H Club Foundation, member of the U. S. Department of Agriculture’s Safety Council, and associate chairman of National 4-H Club Camp (now National Conference). This range of activities reveals the broad influence Turner wielded on national 4-H affairs. In the Central States, he was a great help in strengthening club work, and encouraged regular meetings between state 4-H staffs. Turner did early and diligent work in such projects as dairy, beef, conservation and tractor maintenance. In various phases of agriculture, he helped get state 4-H Club leaders together to confer on subject matter. What kind of man was Ray Turner? Neat, even meticulous, for one thing. “His records were just wonderful,” says a co-worker on the Federal 4-H Staff, Gertrude Warren. His written records and reports were vital to the collection of 4-H history, another early Extension worked explained. Although he was not regarded as an outstanding speaker or writer, his contemporaries assert that Turner was a great organizer and “doer.” For years he planned a regular series of 4-H music programs on a national radio network. They featured the United States Marine Band and Turner’s stories of the history of music, plus a 4-H message. 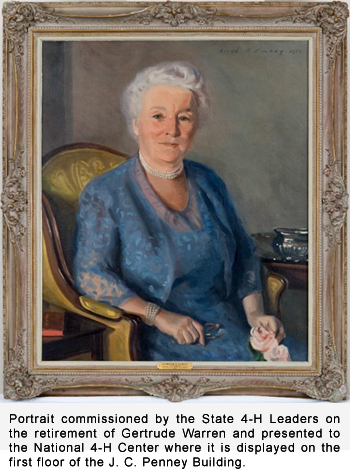 Born in Chase, Mich., on October 5, 1884, to Frank and Elizabeth Turner, the 4-H trailblazer grew up in a rural community. After receiving a Bachelor of Science degree at Michigan Agricultural College in 1909, he taught agriculture in Michigan high schools until 1918, when he became state 4-H Club leader in his native state. Six years of effective work there led to his move in 1924 to Washington, D. C., where he spent the rest of his working years. “Guardian Angel of 4-H.” That’s what one Extension veteran has called Miss Gertrude L. Warren, one of the earliest 4-H workers still active in the service of club work. A review of the contributions this fine lady of 4-H has made to present-day club work quickly justifies the title. Among her contributions, the greatest in subject matter is undoubtedly the broadening of girls’ 4-H work. Canning was the only national home economics project when Miss Warren came to 4-H in 1917. Today’s program includes clothing, room improvement and many others. These projects help more fully to meet the needs of 4-H members and their homes and communities. Not only did Miss Warren introduce the new projects into the 4-H picture; she also had to prepare much of the written material for them. That was necessary then in order to get material to 4-H girls which was written at their own level. Since then, Extension home economics specialists in each state have produced 4-H literature. Miss Warren’s influence and insistence helped effect this change. Wrote the first bulletin on training local volunteer 4-H Club leaders. Led in the development of the team demonstration as a means of showing what had been learned in 4-H Club work. Authorized a basic bulletin on “Organization of 4-H Club Work for Use of Local Leaders,” later translated into several other languages for use in foreign youth programs. She also devoted much time to training local leaders in early years. Worked with T. A. Erickson to create National 4-H Sunday and wrote a bulletin on the Heart H.
Persisted in urging the use of the term “4-H” to replace the earlier title “Boys and Girls Club Work” by which the program was known until the early 1920’s. She also took leadership in having the 4-H emblem copyrighted. Helped plan and initiate the National 4-H Club Camps which included housing in tents in the shadow of the Washington Monument in 1927 and following years. Now, as the National 4-H Conference, this annual event takes place at the 4-H Center. Conceived the plan in the early 1930’s for the 4-H fellowships which provide a year’s study grant for promising 4-H workers to train at the U. S. Department of Agriculture and at nearby universities. Contributed articles on 4-H Club work to various publications, including the Encyclopedia Britannica and others. Not only led in the initiation of National 4-H Club Week but wrote material on the observance of this annual event. anticipated in many conferences and on many committees in Extension, youth and farm home activities. Brought up on a New York farm, Miss Warren went into home economics teaching while still a student at Columbia University. She went against the advice of many friends when she went into Extension work a year after her graduation in 1917. She was leaving a promising career in an established field to move into the unknown area of 4-H Club work. One of the unique features of 4-H Club work is its extensive system of private support and the allied network of incentives and awards which help encourage boys and girls to do their best work. This support exists at all levels – national, regional, state and local. It came into existence as the Extension Service and 4-H Club workers expressed needs for help in various facets of club work. One man stands out as the greatest influence on early national and regional support – Guy L. Noble. Co-founder and first director of the National 4-H Service Committee and co-originator of the National 4-H Club Congress, Noble successfully welded the link between business and government that was so sorely needed in the early days of 4-H.
Noble’s story can’t be told without telling the story of the founding of the National Committee, as 4-H workers refer to the organization in Chicago. As an employee of Armour and Company, Noble induced his company to sponsor about 40 all-expense trips to the 1919 International Livestock Exposition in Chicago, then wrote to state club leaders in areas where Armour bought livestock, inviting them to select trip winners. In the meanwhile, he arranged a program of entertainment and tours for the Armour trip winners plus some 100 boys and girls who came to Chicago as guests of their local communities, railroads and other sponsors. That assemblage at the 1919 Exposition is recognized as the first National 4-H Club Congress. At that meeting, Noble met E. N. Hopkins, who came with the Iowa delegation. Hopkins had been promoting rural youth work for years, first as editor of the Arkansas Fruit and Farm magazine, then as editor in charge of youth activities for the Meredith Publishing Company. These two men, Noble and Hopkins, in 1920 and ’21 followed up on earlier proposals to form a national committee to coordinate the growing number of trips and prizes for club work. In late 1921 the National Committee on Boys and Girls Club Work was born, with Noble leaving Armour to become executive secretary. (The name changed in 1960 to National 4-H Service Committee.) Industrial leaders included E. T. Meredith, Thomas E. Wilson, John Coverdale and others. 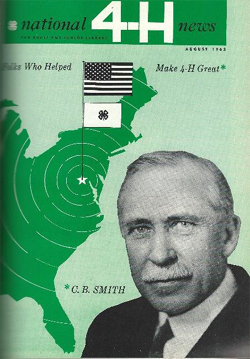 As the program progressed, Noble established the National 4-H News as an idea exchange medium for 4-H workers, the National 4-H Supply Service and other types of aid to 4-H. His success in enlisting the financial and other help of respected industrial leaders was a source of prestige for 4-H. Noble always set high standards for entertainment and other incentives offered to 4-H’ers. Not only did Noble raise the status of 4-H in the eyes of other Extension workers by strengthening projects and providing the best in entertainment and other features for Club Congress; he helped all of Extension by working hard for large appropriations from the national legislature for the support of Extension work. Noble also contributed to the cultural side of 4-H. He introduced concerts and other music at Club Congress, as well as plays and skits. He encouraged drama and singing as 4-H activities. 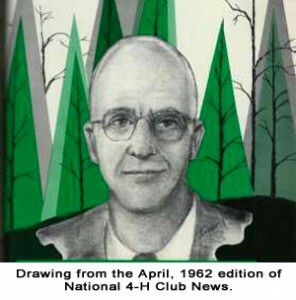 When Noble retired in early 1958, he had served 4-H diligently and well for nearly 40 years. The cooperative effort marking 4-H Club work today is a monument to his foresight and industry. Many 4-H workers have a deep-seated philosophy about 4-H. It’s a special gift to be able to lend words to such feelings about this youth movement. And one of the more articulate speakers and writers on this subject was Dr. Clarence Beaman Smith, who spent 26 of his some 40 years with the U.S. Department of Agriculture in serving Extension work and, as part of it, boys’ and girls’ club work. In his poetry and prose, Smith put into words the feelings that he and many other pioneers of club work developed as they saw – but not from the sidelines – the movement grow and flourish. For Smith and his fellow trailblazers transformed their feelings into an action program. In several ways does today’s 4-H Club work reflect Smith’s contributions. The youth program’s strong position in overall Extension work is partly a result of his vigorous backing in early years, when many agricultural workers “didn’t have time” for club work. Smith was instrumental in setting up the policy-making 4-H Subcommittee of the formal Extension organization. As has been said for all the 4-H pioneers discussed in this series, Smith exerted a strong influence for high standards in club work. He didn’t deprecate material things, but he stressed high ideals in youth training. This Federal Extension worker helped establish the memoranda of understanding which put the Smith-Lever act of 1914 into operation by creating Cooperative Extension Services in individual states. After attending high school in Gaylord, Mich., Smith borrowed $40 from his parents and started out for the state agricultural college at East Lansing. He worked his way to a B.S. degree in 1894 and an M.S. degree in 1895. After one year as a high school principal, he joined the U.S.D.A.’s Office of Experiment Stations. In 1912 he was made Chief of the Office of Cooperative Extension Work for the entire country, and in 1932 was appointed Assistant Director of Extension. He held this position until his retirement in 1938, after which he continued to write and speak for 4-H.
What kind of man was this 4-H pioneer, who died in 1948? Two of his early co-workers, Gertrude Warren and Paul Taff, describe him as “a great character” with a kindly face and a businesslike manner, a deep thinker and careful organizer. His decisions were fair and were based on strong convictions. This is the fifth in the 1962 series published in the National 4-H News highlighting the work of 4-H professionals who, in the judgement of surveyed Extension workers, contributed significantly to the growth and development of the 4-H program nationwide. We reprint each article as it was written in 1962. Humble beginning marked the life of many a 4-H pioneer, and Arne Gerald Kettunen was no exception. The son of an immigrant Finnish tailor, he learned early in life the value of hard work. Especially he came to realize the value of a helping hand, and so set ambitious goal himself in the service of youth. Nearly 1½ million 4-H Club boys and girls reaped the benefits of club work in Michigan during the 31 years “Kett” spent as state 4-H Club leader there, from 1925 to 1956. In those years, not only they but 4-H’ers across the nation received a helping hand through Kettunen’s diligent work. As was the case with so many workers in the early days of 4-H, when a lack of today’s clearly established patterns required a broad scope of operation, Kettunen’ achievements threaded through so many phases of 4-H that it is hard to pick out one or two that stand above the rest. One great contribution this native of Michigan made to 4-H was in obtaining financial support, both public and private. Kettunen was a strong, capable executive, his former co-workers explain. He established a district 4-H supervisor’s plan and a strong county 4-H Club agent system in Michigan. He led the way in Michigan’s 4-H camping program first with a camp at Chatham for the Upper Peninsula, then with many others. Most Michigan counties now have a camp of their own or own one jointly with other counties. In national 4-H affairs, Kettunen was a promoter of many events. He served as chairman of 4-H’s top policy group, the 4-H Subcommittee of the Extension Committee on Organization and Policy (ECOP). 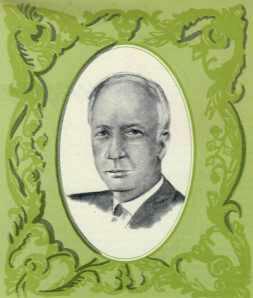 He was the first chairman of the National 4-H Club Foundation and a chairman of the National 4-H Congress committee. Born at Ishpeming, Michigan, October 28, 1894, “Kett” spent his whole professional life in the service of youth. Immediately after his graduation from Michigan State University in 1917, he went to work with the Extension Service of that state, becoming state 4-H Club leader 8 years later. In 1923, he married Ruth Cresswell, who later became a staff member at Michigan State University also. He was survived by a son, daughter and five grandchildren at the time of his death at age 64. Always a backer of the International Farm Youth Exchange program, Kettunen journeyed to Finland and other European and North African countries in 1952 to study its activities. He was honored by the Finnish government for his contribution to the organization of their 4-H work. In the words of another 4-H pioneer, “Kett” was not so much a speaker or writer as a “do-er.” He never spared himself, which may have contributed to a heart attack at about the time of his retirement from Extension work in 1956. Himself a man of great integrity and high standards, Kettunen helped transmit those qualities to 4-H Club work. Drawing from the May, 1962, National 4-H Club News. Rural one-room schools in this country were, at the birth of the 20th century, the gathering place of youth without a great deal of hope. Or so many educators such as A. B. Graham thought as they observed the attitude of farmers and farm youth toward their own lot in life. The farmer was then a “hick” in the eyes of city folks. Farming was a plodding existence, calling for not much ingenuity or thoughtfulness, many farmers felt. To lift the vision of farmers was the goal of many early pioneers in boys’ and girls’ club work – O. H. Benson, T. A. Erickson and others. In Springfield township, Clark county, Ohio, school superintendent Graham decided to kindle new enthusiasm for rural life in the hearts of his students. His technique for doing this was the formation, in January, 1902, of an agricultural “experiment club.” He showed members some litmus paper and suggested that they test the soil on their fathers’ farms. Later he introduced more science into club work with a microscopic examination of frogs’ blood circulation and other eye-openers for the farm youth. Perhaps the greatest contribution this pioneer made, however, was in building the prestige of 4-H Club work in the minds of Extension workers and the public alike. He left school work in 1915 to go to Washington, D.C., as head of agricultural specialists in the federal Extension Service. Seeing the growing impact of 4-H on agriculture, Graham influenced federal Extension specialists to write 4-H bulletins and make suggestions for club work in the states. W. H. “Billy” Palmer, who became the first state 4-H Club leader in Ohio in 1916 – shortly after Graham left the Buckeye state – and who built 4-H into a great program there, recalls that “about the only 4-H literature we had in Ohio in the early days was from Washington D.C. It was written by specialists there.” Graham encouraged that help, he adds. Graham was a prolific writer himself, and a practical philosopher who is still quoted widely. He did little writing about 4-H until his latest years of life, however, since agriculture was his primary interest. He had promotional abilities with which he served 4-H along with his ability as a practical educator. Evidence of his practical nature is the fact that Graham started local projects in the early years in Ohio. He helped cast the mold for present-day 4-H Clubs by forming actual clubs (much of the early youth work in other places was in the form of contests), electing officers, promoting exhibits, drawing up report forms, and encouraging projects at home. The 4-H pioneer started life on a Champaign County, Ohio, farm on March 13, 1868. He had several years’ experience before taking the Clark county job. 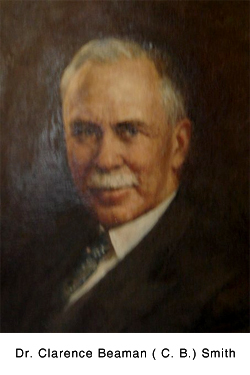 In 1914 he took charge of Extension work at the New York School of Agriculture after serving as superintendent of Extension at Ohio State University for 9 years. His years of work at the Federal Extension Service began in 1915, and he retired in 1938. 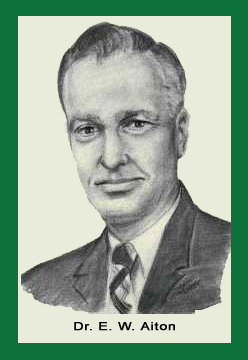 Almost to the time of his death in early 1961, Graham was a tireless worker for 4-H in his native state of Ohio. He attended meeting after meeting to build youth work, a fitting climax to a life of service. In coming months we will feature short bios of ten people who were selected by professional Extension workers in 1962 as having made significant contributions to the 4-H program: people who “helped make 4-H great.” The original series was first published in 1962 in National 4-H News and is reprinted here. To select the individuals to be featured, National 4-H News “…asked more than 30 veteran 4-H workers to send us their list of the ‘top ten’ contributors. We tallied the results and chose the ten people mentioned most often …” From a historical perspective, these individuals are the ones to whom 4-H owes its creativity and dynamism, its solid and experiential education principles, its enduring strength. These are the ones on whose shoulders this remarkable youth development proudly stands today. This series stands as a tribute to those visionary leaders to whom we are greatly indebted. Drawing from February, 1962 National 4-H News. There is no doubt in observers’ minds as to the contributions which Dr. E. W. Aiton has made to the youth movement which has been so much a part of his life. Testaments to his vision and determination are plentiful in today’s 4-H program. What is the background that has led this man to his being named in a list of ten people who have contributed so much to 4-H? For one thing, a 4-H career that has included every level of 4-H work: member, junior leader, adult leader (even at this time), county Extension worker, state and federal 4-H staff member. Starting as a farm boy in Minnesota, Aiton moved steadily up the professional ladder. In 1960, after serving eight years as the first director of 4-H Club and YMW (Young Men and Women’s) Programs in the Federal Extension Service, he was appointed assistant administrator of the FES (Federal Extension Service). The marks of Dr. Aiton’s influence are present in many places in 4-H. One is in the International Farm Youth Exchange (IFYE) program, which he helped to found while he was Northeastern regional 4-H field agent in Washington, D. C., from 1944 to 1950. New York State 4-H Club Leader Al Hoefer and a group of 4-H’ers journeyed to Washington with an international program in mind, and Aiton was assigned to help them. The result: IFYE. The National 4-H Club Center is another monument to Aiton’s ability to organize, then carry out a needed project. 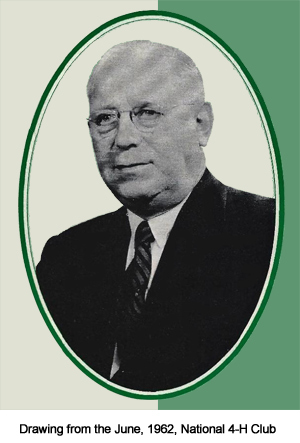 During a stint as executive director of the National 4-H Club Foundation (from 1950 to 1952), he initiated many services to 4-H as well as pushing the planning of the widely-used Center. Other 4-H areas promoted by Aiton and felt directly by 4-H Club members include: · Citizenship as the main goal of 4-H Club work, rather than merely the learning of skills. · An adjustment to the changing membership of 4-H – that is, an expansion of the program to include more activities for urban and suburban members. · Emphasis on 4-H’ers understanding international affairs and relating them to club activities. · Development of literature, training meetings, etc., tailored to fit the development needs of members at different ages and with different problems. · Strengthening or working relations with many youth groups such as the Boy Scouts of America and others. ED NOTE: The auditorium of the National 4-H Youth Conference Center in Chevy Chase, Maryland, is named in memory of Dr. Aiton. Looking back on the early days of rural youth work from our present vantage point of well-developed programs and clear lines of operation, it’s hard to realize the bewildering array of choices that faced the pioneers of this great 4-H program. But in the days of T. A. “Dad” Erickson’s first work with youth clubs in Minnesota – just after the turn of the 20th century – the direction this movement would take wasn’t clear at all. That’s why today’s 4-H members owe such a debt of gratitude to Erickson and his contemporaries. In spite of their lack of a pattern for the future, those men and women had the foresight to set up a youth organization with a level of standards so high that today the name 4-H is synonymous with quality the country over. His early childhood prepared Erickson for a life of service to youth. Theodore August Erickson was born in 1871 near Alexandria, Minn., the second son of a farm couple from Sweden. His parents, while calling on the help of the children with the hard farm labor, saw that the youngsters had time to enjoy the fields and woods for their natural beauty. Pioneered crop-raising contests for Minnesota youth, the first being corn-growing competition in 1904 for which he bought $20 worth of seed with his own money. Helped organize what may have been the first cooperative bull association in the country. Promoted the first school fair in Minnesota in 1902, with crop exhibits by students. Pioneered a school hot lunch program in 1907. Helped operate what is recognized as the first National 4-H Club Congress in Chicago in 1919. Launched the first state 4-H conservation project in the country in 1934 as Minnesota state 4-H Club leader. Helped do the spadework which resulted in the Extension Subcommittee on 4-H Club Work, today’s national policymaking group. Established the first observance of 4-H Sunday, tying it in with the already existing Rural Life Sunday. Helped get National 4-H Camp – now National Conference – started in Washington, D. C., in 1927. Perhaps Erickson’s greatest contribution to 4-H, friends reflect, has been his continual emphasis on the character-building value of the youth program. In the early days of 4-H, much stress was laid on the project or subject matter side of the program. The Minnesota leader’s vision kept 4-H sights raised higher than simply the production goal. The years of Erickson’s life are rich with lesson-bearing experiences for today’s 4-H workers. They include 11 years as a country school teacher, 10 years as a superintendent of schools in his native Douglas county – where he instituted many club work firsts, two years as rural school specialist at the University of Minnesota before his title changed to state leader of boys’ and girls’ club work in the rest of his 28 years in the state 4-H office (until 1940), and 14 years at General Mills as rural services consultant – where he developed 4-H literature now in wide national usage. Since his retirement in 1954¸Erickson has served the cause of rural youth from his home in St. Paul. In a letter to a long-time friend which Erickson wrote in 1956, he summarized his 4-H philosophy in these words: “Some folks still think 4-H is only the story of corn, pigs, bread-making, canning, prizes, awards and events. When an accident claimed two fingers from Oscar H. Benson’s right hand while he was sawing wood as a boy, it proved to be a cloud with a silver lining for 4-H Club work. The occurrence spurred Benson’s desire to get a college education. And that learning later put him in a position of great influence on the early rural youth work in America. First as a superintendent of schools in Wright county, Iowa, from 1906 to 1911, then in Washington, D. C., in Farmer’s Cooperative Demonstration Work, Benson was a leader in teaching demonstrations, now a universal method in 4-H. He was one of the first men, if not the first, to apply the cloverleaf emblem to rural youth club work. (In 1909, he was using three-leaf clover pins – representing head, heart and hands – as an achievement award to farm boys and girls.) And he was a keen promoter of state college-federal agreements on rural youth work. A question in 4-H as yet unanswered by positive evidence is on the origin of the cloverleaf emblem. Benson was using it in Wright county; at least one other Iowa county had cloverleaf pins at about the same time. Originally or not, Benson was a prime force in getting the 4-H emblem adopted nationally in 1911, soon after he moved to Washington. In early 1911, he was preaching “head, heart, hands and hustle” to the farmers of South Carolina and their children. Early pins showed the H’s, plus a symbol of the type of club the recipient belonged to – corn, cotton, etc. In 1912, Benson was transferred to the Office of Farm Management in the U. S. Department of Agriculture. During that year he engineered the first state college-federal agreement for the promotion of rural youth club work in the North and West, his special area of operation, during a trip to his native state of Iowa. Indiana, Nebraska and other states quickly followed with cooperative agreements. Traveling widely, Benson spread the influence of the teaching demonstrations with his pressure cooker and other canning equipment. He worked hard to convince some home economists that the pressure cooker was superior to the open-kettle method of canning for homemakers. Oscar H. Benson was born on a farm near Delhi, Iowa, in 1875. He spent his childhood on livestock and fruit farms. College work in Iowa and elsewhere prepared him for teaching. After several years of country school teaching, he was elected to the Wright county superintendent’s post in 1906. There he encouraged farm youth to plant demonstration corn plots and encouraged agricultural improvement in other ways. One innovation was his unusual form of commencement exercise. Instead of the usual schoolroom ceremony, he would have a tent erected outdoors and use the stage for livestock judging and grading lectures as well as the traditional graduation exercises. After leaving the USDA in 1920, Benson worked hard in other youth movements. He developed Junior Achievement clubs and served for 15 years as National Director of Rural Scouting in the Boy Scouts.